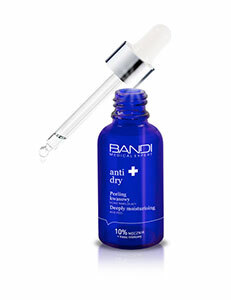 A cream reducing dryness and irritation with a strong anti-wrinkle effect. It has a beneficial effect on the microbiome and its balance on the skin, it strengthens the epidermal barrier and stimulates cell renewal. It reduces roughness, reduces wrinkles, smoothes, moisturizes and firms the skin. Hypoallergenic, does not contain fragrances, dyes or potentially irritating raw materials. Dermatologically tested on sensitive skin. Hypersensitivity to any ingredient of the formula.